It could be argued that azaleas define the spring season in Louisiana. 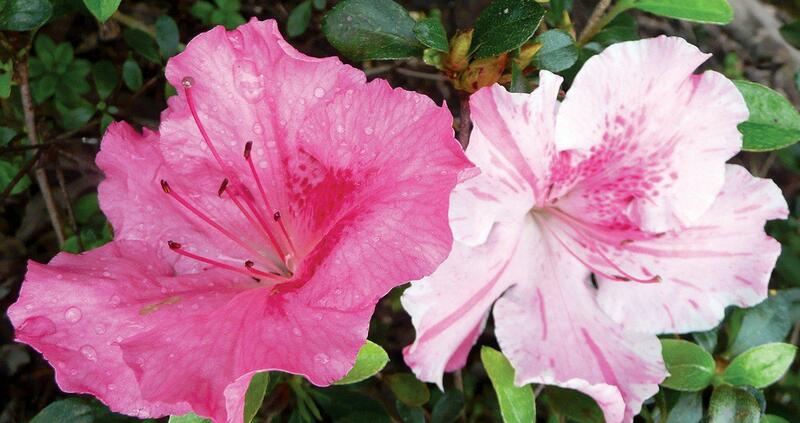 That's because for a long time the most commonly planted Azalea were the large growing Southern Indica types. They produce their flowers and short but incredible display all the way from mid-March through mid April. But times are changing. With the introduction and more common usage of alternate season blooming azaleas, such as the popular Encore or Robin Hill groups of azaleas, it is not unusual to see azaleas blooming during the late summer fall and even into the winter months. And that brings us to a wonderful fall blooming Robin Hill azalea called the Conversation Piece azalea. It's a Louisiana Super Plant Selection from 2012. The Robin Hill group of azalea, to which the Conversation Piece belongs, is known for multi-seasonal blooming, typically well-blooming in the fall and again in the spring. When azaleas are in full bloom early spring, you might think they're the most spectacular shrubs that could be incorporated into the garden. These charming shrubs are all the craze for two to three weeks of the year. Yet if an azalea planting is suggested during any of the other 50 weeks, many people scoff at the mention of a plant that is only green for the vast majority of the year. In many ways, having a plant produce a flower is our trophy as gardeners for doing such a good job in the care and maintenance of our landscape plans. But there is much more to a flower than the symbolism of success. To understand flower biology, you must understand the parts of a flower. The main components are the sepals, the leaf-like structures under the flower itself; the pedals, the colored part of the flower, which contain the perfume and nectar glands, and are the part to which we're more attracted; and, lastly, the male and female parts of the flower, which are responsible for production of the seed. If you're interested in planting wildflowers in your garden, one of the best plants to put in the garden this time of the year is the native Louisiana iris. Hybrids of this native species bloom in a rainbow of color with large, showy flowers on their long stems. While their beauty and reliability in the garden have made Louisiana irises increasingly popular around the world, they still have some obscurity in their own native Louisiana.